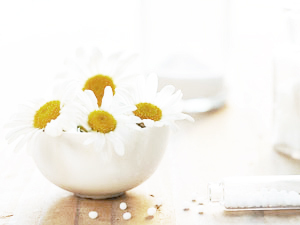 Homeopathy is one of the most widely practiced branches of holistic medicine. According to a survey of the National Center for Health, almost 83 million U.S. adults in 2007 spent $33.9 billion out of pocket on complementary and alternative medicine, $2.9 billion was spent on homeopathic self-care and $167 million was spent on visits to homeopathic practitioners. Homeopathy is holistic because it truly covers not only the physical symptoms but also the emotional and mental aspect of the individual. Most of its popularity is due to the safe, non-toxic, inexpensive and effective homeopathic remedies. Most remedies are easily available as non-prescription and over-the-counter with the exception of some of the higher potencies and tinctures that are usually given under the guidance of a healthcare practitioner familiar with homeopathy. It has been used for centuries by millions of people worldwide. The key principles of homeopathy can be derived from the Greek words “Homeo” meaning “similar” and “Pathos” meaning “suffering”. 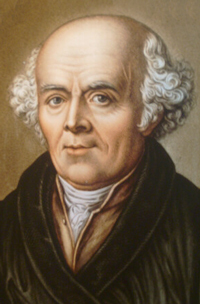 This was coined by Samuel Hahnemann, a German physician born in 1755, who is now recognized as the “Father of Homeopathy”. What makes homeopathy very unique is that it is patient-specific rather than disease-specific. Therefore, many different remedies can be used to alleviate a particular symptom such as a headache or sore throat since each individual is likely to show a different picture of the totality of symptoms. The principle that “like cures like’ or Similia Similibus Curentur and the “Law of Similars” affirms that a substance which in large doses causes symptoms or problems in a healthy human being, in a small homeopathic dose will stimulate the body’s vital force enough to alleviate or cure those symptoms in a sick human being. The vital force or Qi, as it is often referred to in Chinese, is animated energy that is found in the animal, vegetable and mineral kingdoms. As with all living things, the vital force enters at the moment of conception and remains with us until the last breath before death. This vital force gives birth to the philosophy of “vitalism” where energy is needed to maintain a balance between health and disease. It keeps the body continuously built up when in harmony and destructive when out of balance. Homeopathic remedies are prepared from plants, animals, minerals and nosodes (from diseased tissue) and are made in accordance to the Homeopathic Pharmacopoeia of the United States (HPSU) and are recognized by the Food and Drug Administration (FDA). Homeopathic remedies are made with a process in which they are diluted and succussed (shaken vigorously) or triturated (grind very fine). Often a number is followed by a “C” or an “X” on the homeopathic remedies. The number, (i.e. 6C or 30X) designates the number of times that this remedy has been diluted and succussed. The letter, on the other hand, represents the Roman numerals C centesimal or X decimal meaning that a dilution is made on a ratio 1 to 99 (1 part remedy 99 parts alcohol or lactose) or 1 to 9 (1 part remedy 9 parts alcohol or lactose) respectively. When taking homeopathic remedies remember the following: non liquid remedies (pellets) are usually poured from the bottle into the cap and taken sublingually, under the tongue, so they can rapidly be absorbed into the bloodstream. Avoid touching the remedies with your hands and do not put extra remedies back in the bottle if they have been touched. This assures that the rest of the bottle does not get contaminated. In order not to antidote the remedy, do not take it within 30 minutes of having coffee, mints (including toothpaste, mouthwash) and keep it away from strong perfumes and other products like camphor, eucalyptus, Vicks™, Tiger Balm™, etc. A dose is usually 3-4 pellets. Note that the size of the pellets does not indicate their potency since it is about the energy that the remedy carries not the actual size of the pellets.